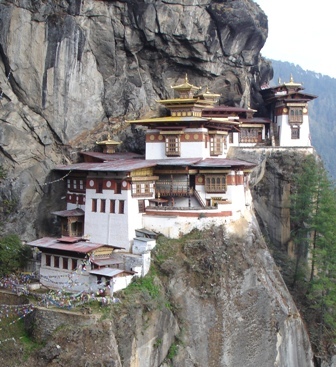 The Kingdom of Bhutan is a landlocked nation in the Himalaya Mountains, sandwiched between India and China in South Asia. 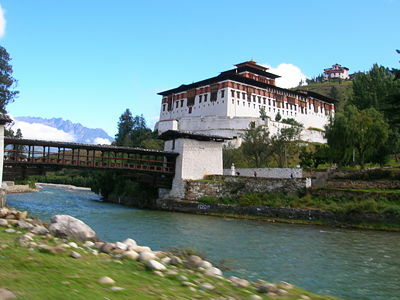 Bhutan is one of the most isolated and least developed nations in the world. 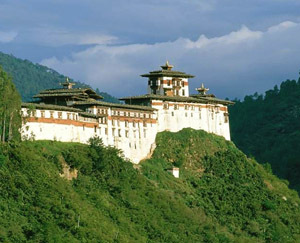 Nonetheless, it has been described as the happiest least developed country on earth. Foreign influences and tourism are heavily regulated by the government to preserve the country's traditional culture and national identity. 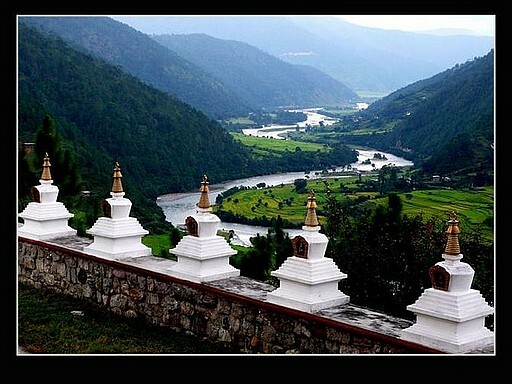 The landscape ranges from subtropical plains in the south to the Himalayan heights in the north, with some peaks exceeding seven thousand metres. 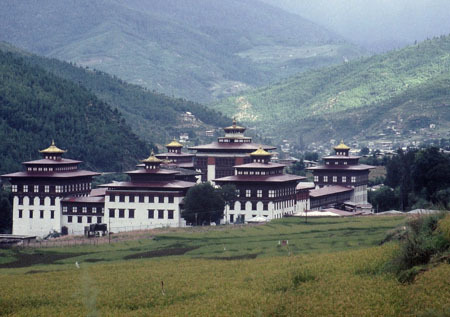 Mahayana Buddhism is the state religion and the population is predominantly Buddhist, with Hinduism being the second most dominant. 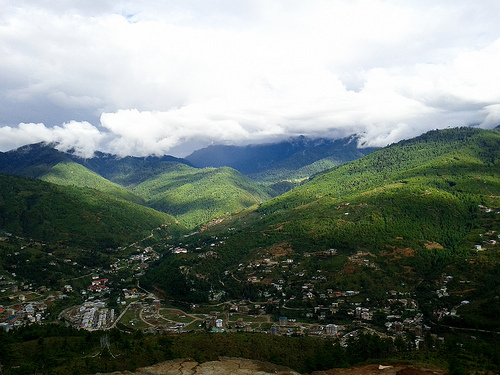 Thimphu is the capital and largest city.